J. Kim Wright started her first business (selling Christmas cards) in the sixth grade and her first organization (a foreign language club) in the ninth grade. Since then, she’s lost count of the organizations she’s helped to create. She’s been a social entrepreneur, one who starts organizations for the public good, for most of her life. Her business experience before law school included several jobs in hospitality and travel. While a full-time law student, she co-owned and managed a taxi and airport transportation service. Of course, a law practice is also a business and Kim has been a self-employed lawyer since 1995. Always on the cutting-edge, she had one of the first lawyer websites in the country in the mid-1990’s. She is also the proprietor of the small business, Cutting Edge Law Enterprises. Kim jointly majored in Business Management/Economics and International Studies at Warren Wilson College in North Carolina, later earning her law degree at the University of Florida. As a lawyer in her early career, Kim focused on family and small business law, often handling both in the same case as family businesses were impacted by shifts in relationships. She helped clients to form, modify and dissolve businesses, draft contracts, operating agreements, articles of incorporation, by-laws, and other legal documents. In the early days of socially responsible businesses, she studied companies like The Body Shop and Ben & Jerry’s. She attended an early on-line conference on Business as Agent of World Benefit and became interested in applying conscious legal practices to contracts and businesses, just as she was applying them in family law. Later, she began to follow conscious business and social ventures. She incorporates the work of Conscious Capitalism in her workshops and client relationships. In 2000, Kim took a break from law practice to create the first website about what is now known as Integrative Law. The site showcased what was innovative and transformative in legal practice, spurred the founding of the Renaissance Lawyer Society, an international organization of lawyers, and established her as a leader in a budding movement. In the early 2000s, Kim also participated in a series of programs on Information Entrepreneurship, how to earn a living by packaging your expertise. She was a pioneer in e-book publishing, publishing a Legal Toolkit for professional coaches in 2001, long before a lot of people even had regular email addresses. 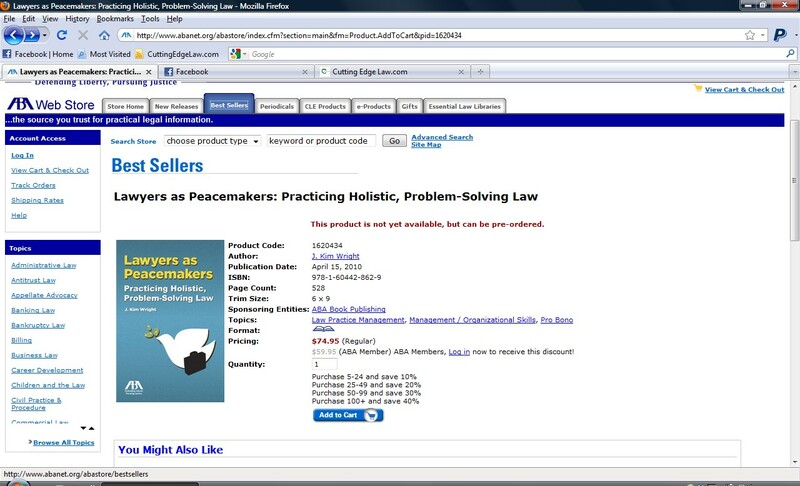 In 2003, Kim created Healers of Conflicts Law and Conflict Resolution Center, designed to incorporate many cutting-edge approaches, including collaborative law, several forms of mediation, holistic law, restorative justice and drafting in plain language. In 2007, Kim’s career started shifting. She was speaking, creating conferences, workshops, and symposiums on many topics. It was hard to keep up with law practice and do so much traveling. As her life took a turn, she decided to focus on her new venture, Cutting Edge Law. She closed her law practice and took to the road, videotaping interviews with lawyer-pioneers and posting the videos on the website. The American Bar Association took notice. In 2009, the ABA named Kim Wright a “Legal Rebel” for Collaboration. 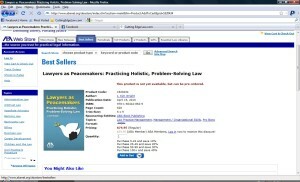 The ABA Legal Rebels are “finding new ways to practice law, represent their clients, adjudicate cases and train the next generation of lawyers.” The ABA also asked her to write one of their flagship books, Lawyers as Peacemakers, Practicing Holistic, Problem-Solving Law, which became an ABA best-seller. Her second book, Lawyers as Changemakers, The Global Integrative Law Movement was released in late 2016. After more than nine years of travel, Kim has trained lawyers on five continents. She leads workshops and is a coach and consultant for lawyers to establish their own peacemaking practices and collaborative practice groups. She also works with businesses and business owners on contracts. One of the most popular workshops is Conscious Contracts. Conscious Contracts is an approach to contracts that focuses on creating relationships and shared values that become the foundation of resolving any conflicts. Such relationships are partnership-oriented from the start; they build sustainable relationships and ground the inspiration of a new venture in practical next steps. 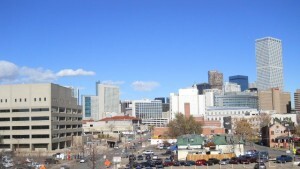 For the last several years, she has limited her law practice to conscious contracts. She also trains other lawyers in this new way of approaching contracts. She is involved in the conscious business movement.